In my review of "The Spear of Tyranny" earlier this month, I said the book "was a completely blasé finish to what had been an excellent and intruding saga up to that point." That novel was part of a trilogy, and its final volume failed to live up to the bar that its two prequels set. 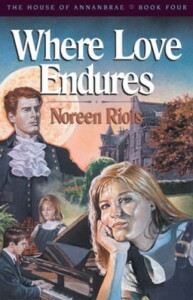 I'm bring that up only because "Where Love Endures," the fourth and final entry in Noreen Riols' "The House of Annanbrae" series, was just as bad if not worse. 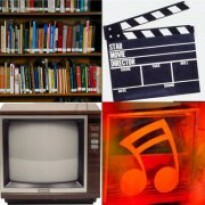 Although parts of the story were engaging, there were two major problems that are somewhat related: First off, the book ends somewhat abruptly; it was almost like watching a DVD and losing your electricity during the last five minutes of the movie. Also, one major plot thread was never explored, even though the book foreshadowed it. Without giving too much away, I can say that a character's actions cause "an ominous foreboding of what was to come," and that "[another character's] words, and her fears [about the former character], were to prove strangely prophetic." However, that plot point is not mentioned any further. How said character's life becomes a tragedy is never mentioned. For those two reasons, I had to check to make sure that my library copy wasn't missing any pages. Like "Harry Potter and the Deathly Hallows," this "grand finale" feels very rushed and disappointing. I can easily recommend the first three volumes of "The House of Annanbrae"; this one, though, I just can't.